Awesome story, and if read immediately before "Avengers Forever", holy smokes! I just re-read this book after many years, I had forgotten how much it takes on. Man, it sure is chock full of trippy ideas and moments. This is key reading for any longtime Marvel fans for understanding the development of Marvel mythology in the mid-70s. Much of what came in the 1980s in the Avengers was built on this story.About half of this story is relegated to time-traveling villain Kang trying to figure out who the titular Celestial Madonna is and kidnap her, with the other half dedicated to explaining various then-peculating mysteries of the Marvel Universe, including, but not limited to, the origins of the Vision and Mantis, Kang's future and past selves in the time streams, and what happened to the original Human Torch.These are the sorts of mysteries that evolve out of the contradictions inherent to storytelling in a shared fictional universe with multiple creative personnel coming and going and tend to be only noticed only by fans and only addressed once fans become professionals. This was when the storytelling in Marvel was freewheeling and seemingly boundless in its creativity, and it's still fun to see writers come up with creative solutions to these contradictions. This kind of storytelling eventually became tedious in the 80s and 90s as more and more attention was paid to continuity and less to storytelling. But here it's still fresh and fun with a lot of invention.Highly recommended for long-time Marvel fans, more casual fans might be a more than bit bewildered by the whole thing. Oh, the 70s. I don't think I need to say anything else. Still holds up to me, This is one of the best Avengers storylines when dealing with the Vision and Scarlet Witch. 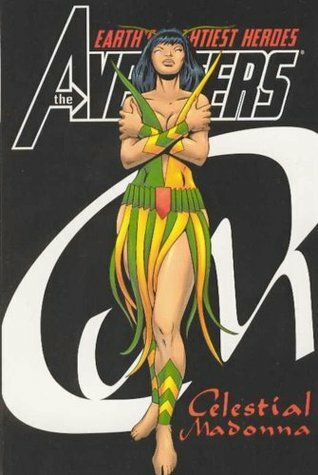 Raccoglie le storiche storie su Avengers di Englehart col fato di Mantis e dello Spadaccino, il doppio matrimonio, Kang e Immortus. Un ottimo climax di un buon periodo di storie. Steve Englehart Roy Thomas Sal Buscema - Steve Englehart went to Wesleyan University in Middletown, Connecticut. After a stint in the Army, he moved to New York and began to write for Marvel Comics. That led to long runs on Captain America, The Hulk, The Avengers, Dr. Strange, and a dozen other titles. Midway through that period he moved to California (where he remains), and met and married his wife Terry.He was finally hired away from Marvel by DC Comics, to be their lead writer and revamp their core characters (Superman, Batman, Wonder Woman, Flash, and Green Lantern). He did, but he also wrote a solo Batman series (immediately dubbed the "definitive" version) that later became Warner Brothers' first Batman film (the good one).After that he left comics for a time, traveled in Europe for a year, wrote a novel (The Point Man™), and came back to design video games for Atari (E.T Garfield). But he still liked comics, so he created Coyote™, which within its first year was rated one of America's ten best series. Other projects he owned (Scorpio Rose™, The Djinn™) were mixed with company series (Green Lantern [with Joe Staton], Silver Surfer, Fantastic Four). Meanwhile, he continued his game design for Activision, Electronic Arts, Sega, and Brøderbund.And once he and Terry had their two sons, Alex and Eric, he naturally told them stories. Rustle's Christmas Adventure was first devised for them. He went on to add a run of mid-grade books to his bibliography, including the DNAgers™ adventure series, and Countdown to Flight, a biography of the Wright brothers selected by NASA as the basis for their school curriculum on the invention of the airplane.In 1992 Steve was asked to co-create a comics pantheon called the Ultraverse. One of his contributions, The Night Man, became not only a successful comics series, but also a television show. That led to more Hollywood work, including animated series such as Street Fighter, GI Joe, and Team Atlantis for Disney.